Why the controversy? The long established view of reduced sodium consumption is based on the observation that reducing salt intake can lower blood pressure for some people. Additionally, it was assumed that since high blood pressure is a fairly common condition, recommendations for limited salt intake would benefit everyone, even those with normal blood pressure. The study suggests that only those with high blood pressure who have a high salt consumption should conform to a reduced sodium diet. The study, which involved more than 130,000 people from 49 countries, found that regardless of whether people have high blood pressure, low-sodium intake is associated with more, not less, heart attacks, strokes and deaths compared to average intake. These findings may be very important for people who do not have high blood pressure, as elevated sodium levels were not linked to poor health outcomes. The American Heart Association was quick to condemn the study, stating that ample research supports the link between low sodium consumption and more optimal health. Dr. Walter Willet, Professor of Epidemiology and Nutrition and Chair of the Department of Nutrition at Harvard School of Public Health, cheekily recommends the study be taken “with a grain of salt.” According to Willet, the U.S. Dietary Guidelines that advise a maximum of 2,300 mg of sodium per day is robustly supported by evidence, and efforts being made to reduce sodium in our food supply are strongly justified. Dr. Willet contends that the American Heart Association, based upon “meticulously reviewed scientific research,” recommends all Americans limit their daily sodium consumption to 1,500 mg daily, the amount currently viewed as more appropriate for those with hypertension. Yet, for decades, these policy guidelines have failed to convince Americans to eat less salt. 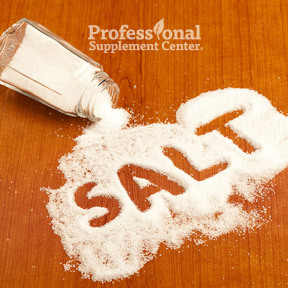 Other studies, published in the American Journal of Hypertension and the Journal of the American Medical Association, found no strong evidence that cutting back on salt reduced the risk of heart attacks, and also found a greater the risk of dying from heart disease with the presence of low urinary sodium excretion. But then, evidence linking salt to heart disease has always been tenuous at best. In fact, for every study that suggests too much salt is unhealthy, there’s another that suggests it isn’t. Although these findings run counter to advice recommended for years by the World Health Organization and the Heart and Stroke Foundation, there remains a small but vocal group of researchers who challenge the idea that large decreases in sodium consumption support better overall health for everyone, and contend that for people with normal blood pressure, elevated sodium levels are not linked to poor health outcomes. Along with the differing opinions on the low-fat versus higher fat diet, the low-salt and higher salt intake may remain controversial for many more years. Although the findings suggest that only people with hypertension and high sodium intake should reduce their salt intake, this study will not change the public health message that we all continue to monitor and reduce salt intake in order to achieve optimal health. According to the New England Journal of Medicine, hypertension is the most common modifiable risk factor for cardiovascular disease and death. In an effort to reduce sodium consumption, the FDA has just issued draft guidance to the food industry for voluntarily reducing sodium in processed and commercially prepared foods. Even so, it may take many more years of sustained effort to get even close to the recommended 2,300 mg of daily dietary sodium. Getting individuals to the 1,500 mg range may be a lofty goal indeed. This entry was posted in Home and tagged Professional Supplement Center, The American Heart Association, To Salt or Not to Salt, USDA dietary guidelines, Vitamins and supplements, www.professionalsupplementcenter.com. Bookmark the permalink.